A massive protest that recently resulted in the shutdown of a pipeline project in eastern China could gain momentum in coming days if more citizens join in as promised online. 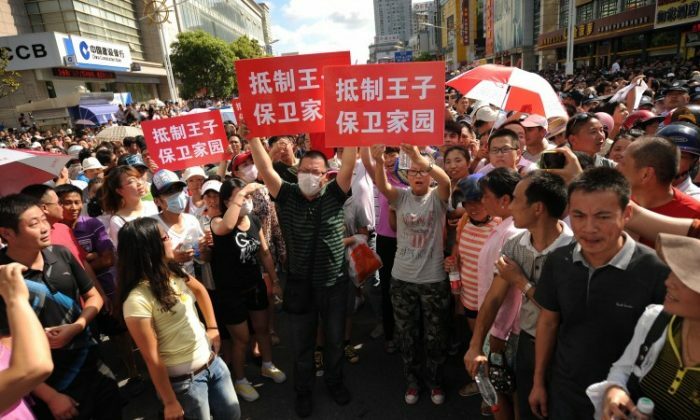 Tens of thousands of locals gathered outside the Qidong municipal government building on July 28 to stop the construction of a waste pipeline for a paper manufacturing company. Residents said it would have polluted the estuary used for Qidong’s aquaculture. The angry mob at one stage ransacked the government building and ripped the shirt off the city mayor. The protest was ultimately successful after the Qidong police announced that the local government would cancel the project. The company has already discharged waste into the Yangtze River as early as January last year, according to a post by Japanese newspaper Asahi Shimbum on Sina Weibo. The post was later deleted after it had been forwarded about 3,500 times. That information was not widely known before then, according to netizens–and Chinese seem incensed by the matter. 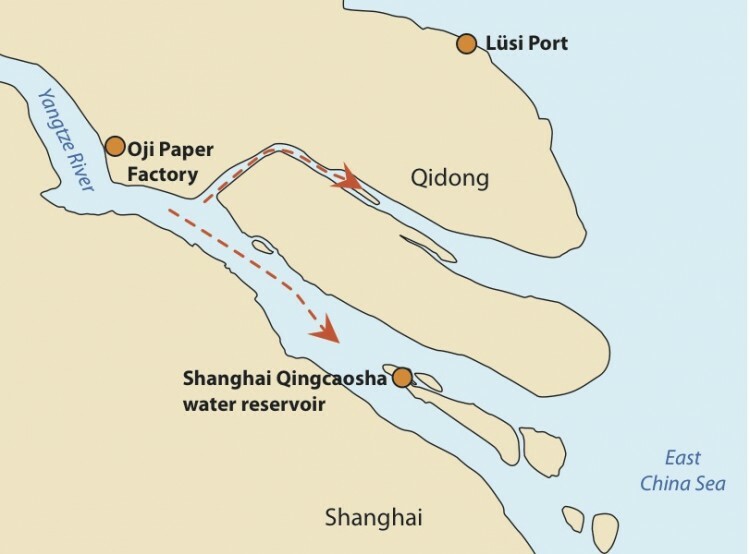 One Internet activist posted a map showing how polluted water travels downstream from Oji Paper Co. in Nantong Economic Development Zone, arriving in the Qingcaosha reservoir, which provides 7.19 million cubic meters of water daily for 40 million residents in Shanghai. Various online comments indicated that a new protest may be in the offing: “Now, it is better than ever. Shanghai, Taicang, Haiman, and Qidong are all included,” and “I’m ready to take a walk. Want to go and support?” Protests on both sides of the river were called for, along with closure of the businesses accused of being the polluters. Mr. Yu from Qidong told The Epoch Times that people are awakening as the environmental degradation increases, with more and more anti-pollution protests in recent years. Residents from the Yangtze River Delta region must cooperate and fight for their rights to set off an even bigger protest and protect our living environment, he said. Mr. Wang, a Shanghai resident, told an Epoch Times reporter that the project is simply a transfer of waste from developed countries to a developing country at the cost of local residents’ livelihoods and the ecological environment. In exchange, the only benefits are political achievement and self-interest. Not taking any chances, Party authorities in Qidong have brought in a large number of military vehicles from nearby areas, according to photos provided by locals to The Epoch Times. Ms. Huang, a Qidong resident, told The Epoch Times reporter that numerous military vehicles from Nanjing, Suzhou, Wuxi, and other areas have arrived at the Qidong Middle School; she estimated a total of 10,000 military personnel. A local man told an Epoch Times reporter that tensions largely subsided after the project was scrapped. Military personnel were still stationed outside the municipal government building though, he said. 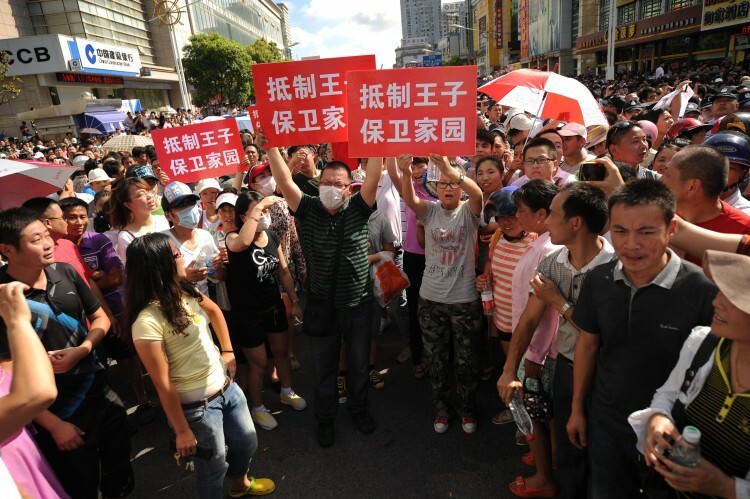 The Qidong protest shocked central authorities in Beijing, according to a report from the Taiwan-based United Daily News. The report said that the Party secretaries of Jiangsu Province and Nantong City have both traveled to the capital to brief central leaders on the incident. Although local officials promised to cancel the pipeline project, Oji Paper Co., the Japanese company whose pipeline was at the center of the storm, resumed construction on July 29, according to Kyodo News, a Japanese media. Statements on the company’s website have also recently been altered. Originally the website said that the Nantong government had approved the discharge of purified wastewater that could be treated, into the Yangtze River, and was responsible for the pipeline’s construction to the East China Sea. However, the reference to Nantong government was later deleted. Chinese netizens thought it was a deliberate attempt to conceal where the wastewater was going. According to the company’s waste discharge summary chart, most of the waste material are dioxins, a toxic type of industrial waste that the U.S. Environmental Protection Agency classifies as likely to be carcinogenic.